Our offices will be closed on Friday, 4/19 in observance of Good Friday. We hope everyone is enjoying the beginning of spring and wish all of you a Happy Easter! Styer Propane, LLC is a local family owned business. We are located in Chester Springs, PA and provide the type of personalized service you expect from a hometown business. For years now we have been proudly serving Chester County, Montgomery County, Delaware County, Berks County and the entire Philadelphia area with quality propane delivery service. At Styer Propane, LLC, we strive to be competitively priced with other suppliers in our area, and look forward to our customer/company relationship being a pleasant one. Whether you are a homeowner or business owner, we have qualified professionals ready to serve your propane heating needs today. Our goal as always is to deliver a high degree of customer satisfaction through personalized quality service. 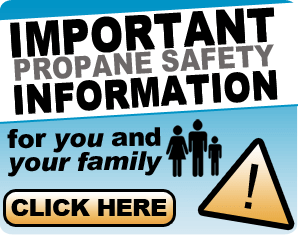 To learn more about our propane service and budget options call us today at 610-458-8389.